Ricardo Martinez, who is not only a smashing scratchboard sultan, is the art director of El Mundo newspaper in Spain. Recently they did an interview with Stephen Hawking for which Ricardo completed this outstanding portrait. 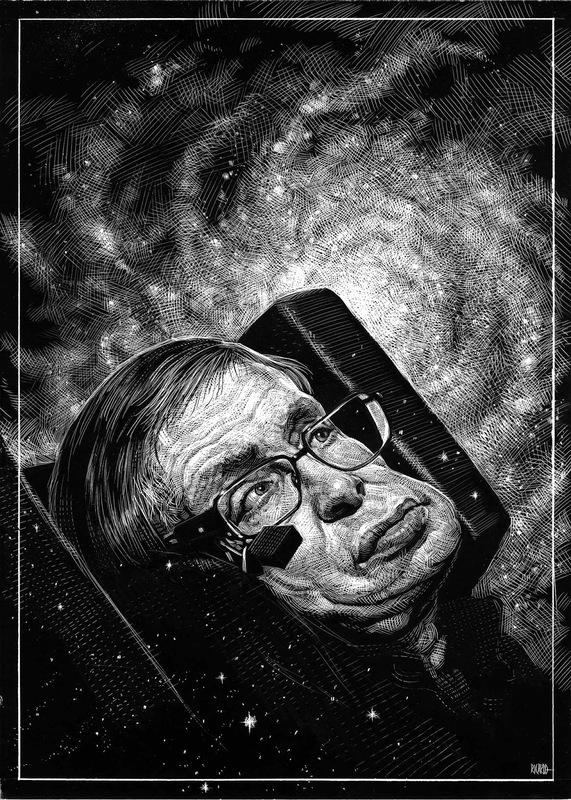 Ricardo and El Mundo gave Mr. Hawking the portrait as a gift and a photo was taken of the two Stephen's together. Subsequently, the photo was used as the cover of the newspaper.